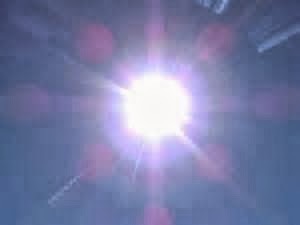 Imago†: Chapter II : The sun. 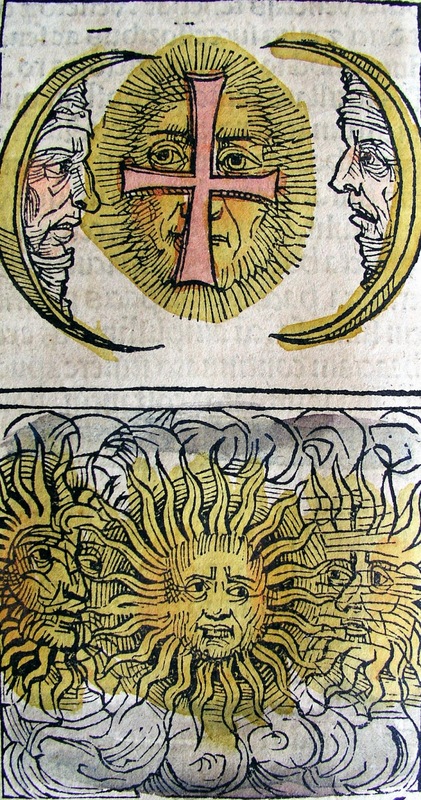 Sun dog phenomenon depicted in the Nuremberg Chronicles. As the Emerald Tablet, a hermetic piece of text on the transformation of matter, implies the sun is the male element of 'the creation towards the birth of the holy child', the philosophical stone, Hermaphroditus. The sun teams up (hieros gamos) with the female power of the moon, and the outcome of this coitus is unexpected, an infant stronger than anything else in the cosmic realm of syzygies, not male nor female but sharing in equal parts the contradictive attributions of the parents, a unified being and a psychological metaphor of higher consciousness. Carl Gustav Jung evaluates that the sun is an archetype of the human concept of Self and since humanity seems to share the encodings of its common origins deep in a collective unconscious the sun archetype (just like the moon one) is common in all civilizations. It is the face of the mother as the round face of the sun in the abstract drawings of the early chidhood, it is the nourishing beginning and warmth, funnily enough the apollonian light so representative of the sun is of male characteristics; the logic that takes people out of the darkness and prejudice and introduces them to the sobriety of scientific reasoning and revelations beyond the folklore and the mythical. As formulated in classical chinese philosophy it is the yang element, the light, warm, dry, masculine principle of creation and the chinese don't neglect to add within it a tiny seed of yin (the female element), showing more wisdom. 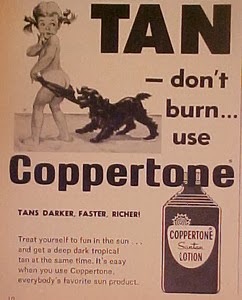 Cause it is in the absolution of the sun element as solely manlike principle that lies the danger, the paternal figure of god commanding from up above reminding us the god of Old Testament, lacks the flexibility of compassion, it is a life giving entity but also an unforgiving one for those who dare to doubt the rules, the sun then burns without remorse for the consequences (negative sun). On another side of the coin the sun symbolism demands our attention and thoughtfulness so we can avoid the fate of Phaeton, the son of Helios, who in his attempt to bring the therapy of the light to humanity neglected to master his skills on driving the sun chariot and went down with it aflame...The sun is all seeing (pantepoptes), when asked he confesses to Demeter having witnessed the abduction of Persephone by Hades. The sun reveals the beauty of the natural world as it really is, and self-awareness showing mercy to those who have faced the cold too long and have paralysed, the flowers bloom underneath the therapeutic sun, we enjoy the playfulness of the sun rays on our skin and something awakens inside of us, we long for the long summer days. The sun can be proven ruthless at other times, showing also the decay and responsibilities, the gap or deprivation, it burns the uninitiated one...One cannot be forced to face the sun, but introduced to it slowly...provided material or spiritual sunglasses...The sun can open eyes, too much sun at once can blind...Jacques Derrida in his "Memoirs of the blind" claims that "the sun resembles the eye, the most "helioform" of all sense organs to the intelligible sun, that is, to the Good." Derrida has in mind the image of the absolute father as the absolute good while writing this. The imago of the sun possibly has to pay the price of its monistic ('this way or no other way') impact, a way so obvious in political, economical and religious systems of today, for this world is still so full of conflict and spiritual blindness, that reason as Logos (meaning, plan) without an ethical context can be proven as much delusional as Pathos, a brute force, a nuclear catastrophe. On a metaphysical and psychological level the sun expresses the individual Self in the center of the collective unconscious, just like the actual sun is the center of the solar system, a model that allows freedom of will no matter the social biases of any era, an archetype of order, organization and unity, in a alchemical sense a model where Sol meets Luna again, allowing to each other's elements to melt into one another mutually. 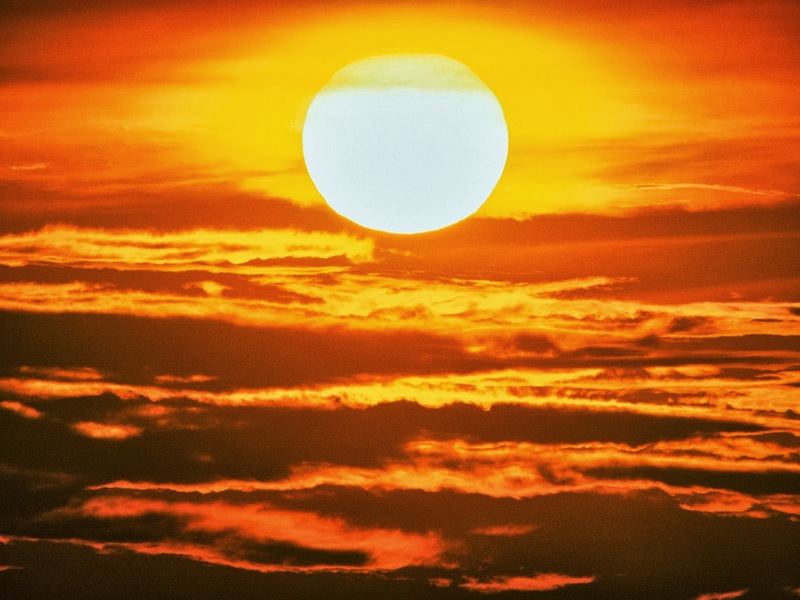 As the sun rises and sets ever watching peoples and generations coming and go hope is in order †††. 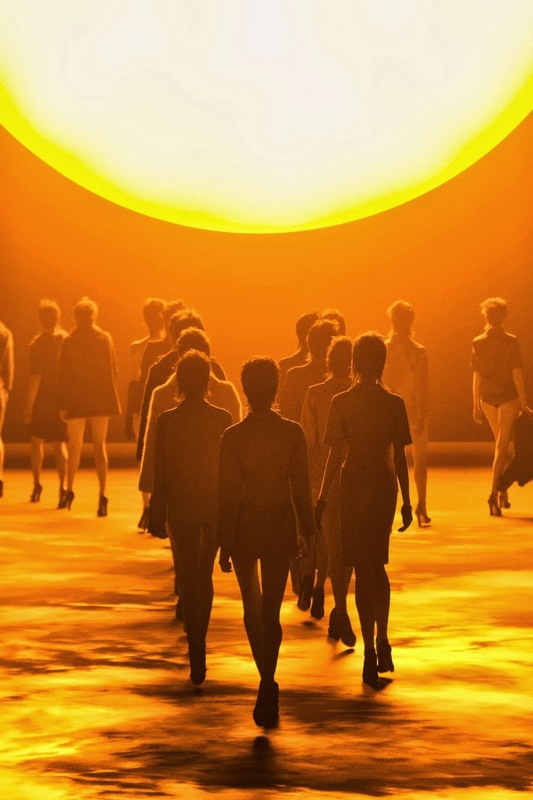 YSL as the sun god. 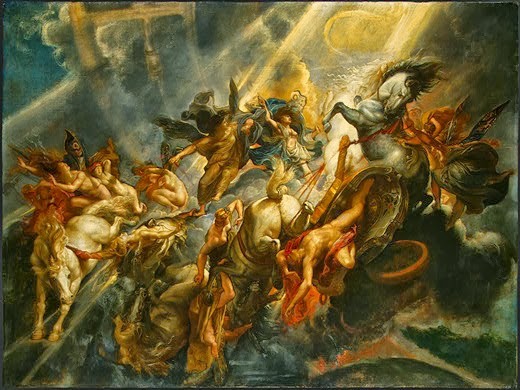 The fall of Phaeton by Peter Paul Rubens, 1605. YSL campaign by Juergen Teller. 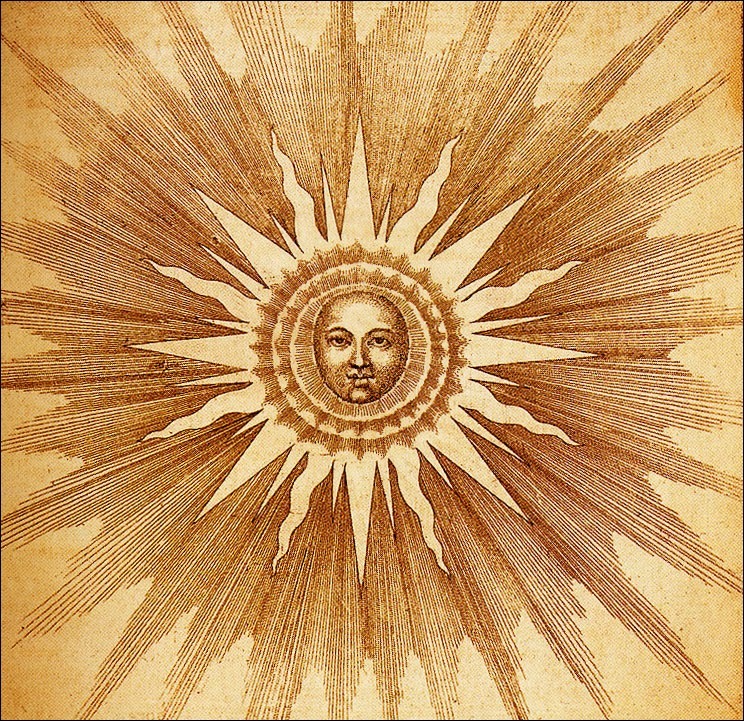 The alchemical sun (Pater), by Robert Fludd. 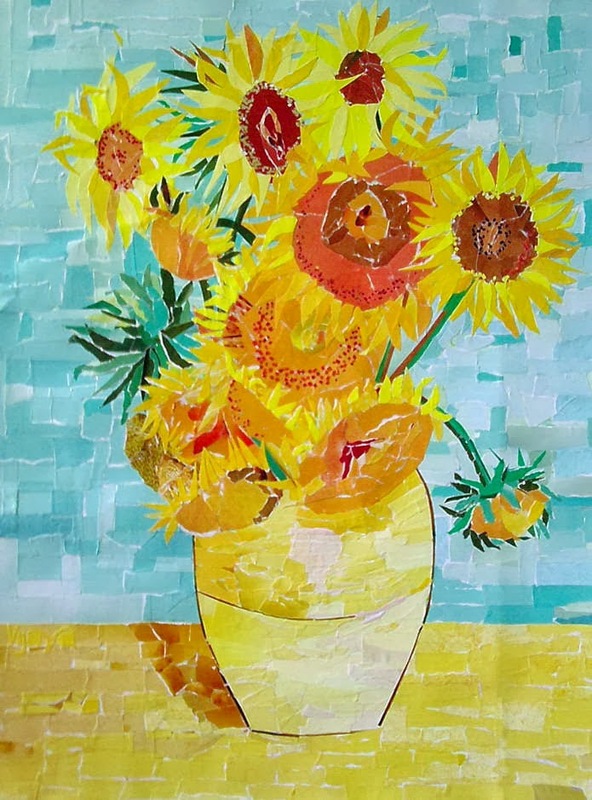 Sunflowers by Vincent Van Gogh. Greek cult film Girls in the Sun, 1968. Apollo like, Roberto Bolle by Bruce Weber. 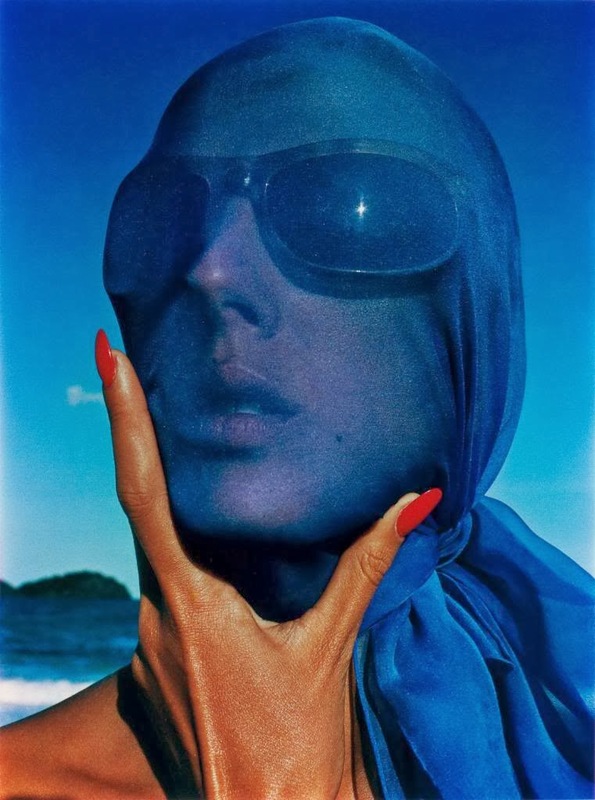 Sun goddess, photo: Mert and Marcus. 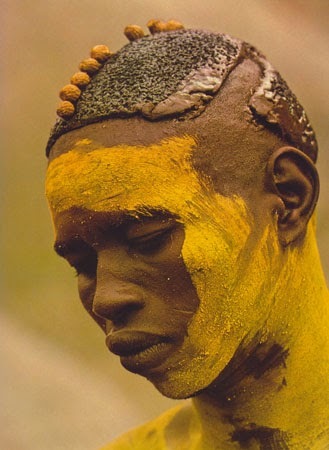 Sun King, Nuba, photo: Leni Riefenstahl. 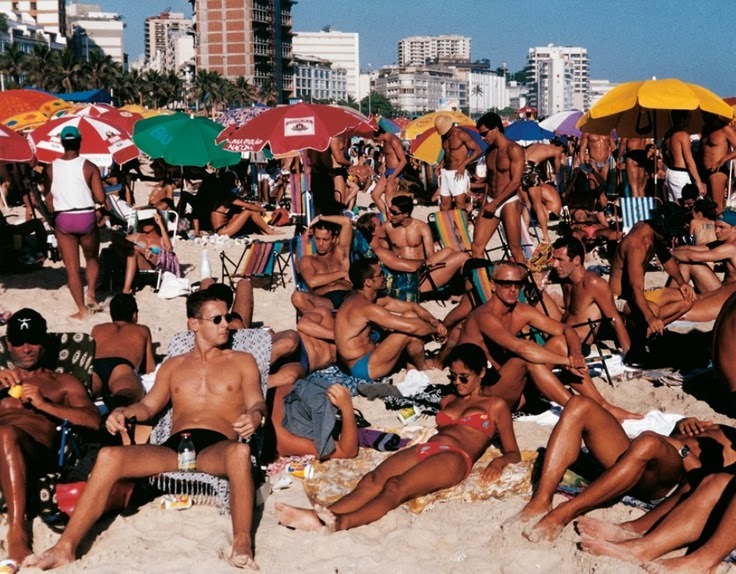 Safe under the sun, photo: Hiro, 1963.
photo: Mario Testino, any objections book. 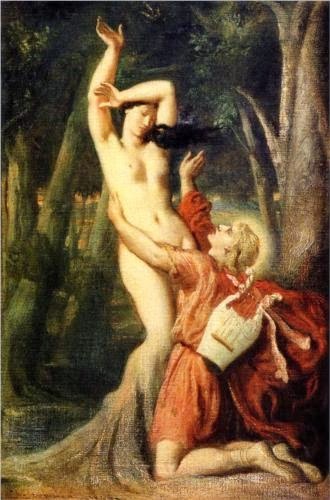 Apollo chasing Daphne by Theodore Chasseriau. Gucci campaign by Mario Testino. A Wonderful blog! A real sensual-spiritual journey. An exploration from the very deep roots of the archetypal and the mythical to the contemporary psyche and the modern images of beauty… Are these the first chapters for the presentation of a new hedonism arising from the simultaneous awakening of the body and the soul? Thank you, that is very encouranging. That is exactly the philosophy of this blog, all archetypes continue to live and breathe in modern day life but very few people notice them as vivid metaphors and continuous beauty...So, we take the similarly fragmented to expand our understanding and to show that nothing's lost, it is an aesthetic process towards transcendence this one, very close to the roots of tantric vision and transformation.